Many of you will be aware that we are no longer in Manchester, having relocated recently to Istria. 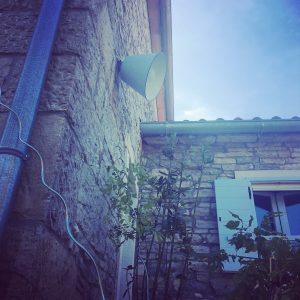 It’s been a bit of a blast to to be honest – new house, new environment, hot weather (although only recently!) and generally a bit of a surreal feel of being on an extended holiday. But in the early hours of Tuesday morning we were brought back to earth with a massive jolt as we were awoken to the breaking news on Radio 5 about the horrific attack in Manchester. All of a sudden, everything we had started to get frustrated about and which precipiated the move – in no particular order, weather, politics, weather, politics, weather, politics and repeat ad infinitum – dissolved and we just felt such massive love for the city which has been our adopted home for over thirty years. We’ve listened to non-stop radio coverage, watched social media and kept in touch with people – and have been overwhelmed by the palpable outpouring of love for our city. Yes, OUR city. Because even though we may not be there, Manchester has shaped us and helped made us the people we are today. Adopted Mancunians. And proud to be so! 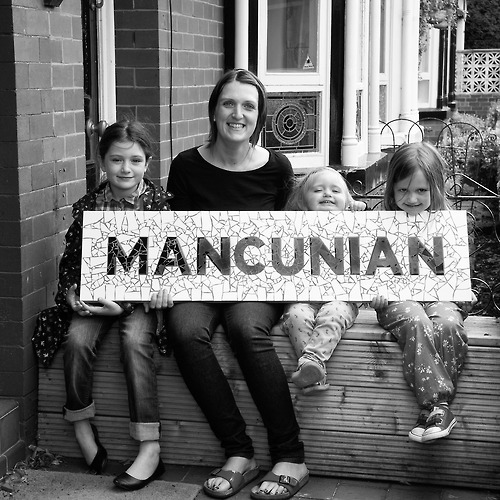 We love this image – the iconic “Mancunian” mosaic by our great friend, Amanda McCrann, taken in our garden in West Didsbury and featuring the Manning girls. As we said, proud to be Mancunian. Wherever we are.